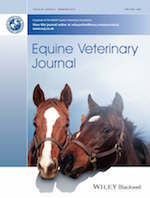 Understanding and managing equine endocrinopathic laminitis is a special online collection of 27 papers and three accompanying editorials compiled by EVJ Associate Editor Nicola Menzies-Gow and an additional specialist in this field, Melody de Laat. Over the past ten years researchers have made great strides in understanding the pathophysiology of endocrinopathic laminitis. Melody de Laat summarizes the collection’s papers on the links between insulin dysregulation, equine metabolic syndrome (EMS), pituitary pars intermedia dysfunction (PPID, formerly called "Equine Cushings Disease") and laminitis. There is much discussion about the role of obesity in laminitis. A couple of pathophysiology articles in the collection look at the fact that generalized obesity isn’t necessarily a factor of endocrinopathic laminitis. Nicola Menzies-Gow’s editorial reviews the collection’s papers on the diagnosis of endocrinopathic laminitis. 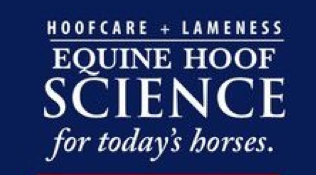 An accurate diagnosis of laminitis relies on owner recognition of the disease. One of the papers seeks to validate this and identified that 45% of cases diagnosed by the vet were not recognized by owners, highlighting the need for better education of owners. Nick Bamford, an equine vet with both clinical and research expertise in laminitis, summarizes the articles relating to the treatment of endocrinopathic laminitis, either through the immediate applicability of their findings to daily veterinary practice or by highlighting novel approaches that hold promise for future therapeutics. The importance of dietary modification and exercise in obese horses and ponies is discussed in one article while another looks at the role of farriers as a potential first point of contact for many owners of laminitic animals. “Optimal treatment of laminitis requires collaboration between vets, farriers and owners,” emphasizes Nick. 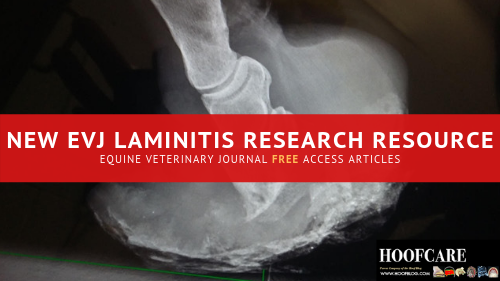 Click here to access the new EVJ special collection of laminitis articles.